Online retail giant Amazon.com CEO Jeff Bezos during a press conference in New York, May 06, 2009. Amazon founder and CEO Jeff Bezos has turned to Boies Schiller Flexner’s William Isaacson to represent him in his escalating feud with National Enquirer parent company American Media. Boies Schiller Flexner confirmed the involvement of its vice chair and longtime partner Isaacson, who has been with the firm since it began in 1997. The prominent law firm declined further comment. Its involvement was first disclosed in an email from AMI in-house counsel included in a blog post Bezos published Thursday night claiming AMI had threatened to release private photos of Bezos unless he ended probes into the publisher’s activities. The AMI email from Jon P. Fine, deputy general counsel, media, reiterated the company’s stand that its newsgathering and reporting on Bezos’s personal activities was legal and “a matter of public interest and concern. Isaacson’s practices in antitrust law and complex commercial litigation, including both civil trials and arbitration, according to his firm bio. It is unclear how a lawyer with deep antitrust experience became connected with Bezos in a tangled celebrity disclosure case. However, if Bezos heads to court, Isaacson is a seasoned litigator. He successfully represented college athletes in the O’Bannon v. NCAA antitrust case and defended Apple in an antitrust case involving iPods. 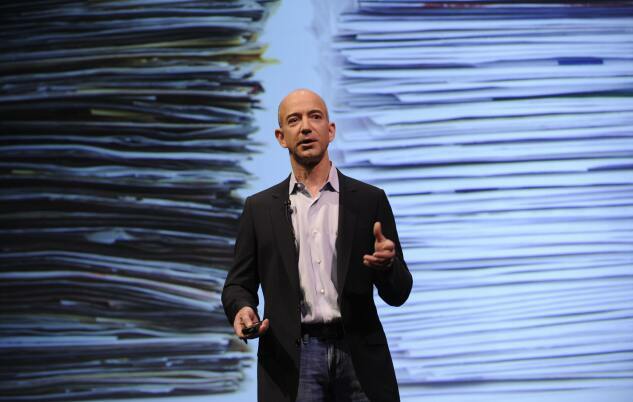 The next legal steps in Bezos’ fight with AMI are unclear. It is unlikely this would end up as a federal prosecution for extortion, said Renato Mariotti, a former federal prosecutor and who works at law firm Thompson Coburn in Chicago. Bezos is far from the only celebrity client that Boies Schiller Flexner has represented. Founding partner David Boies in recent years counseled Hollywood producer Harvard Weinstein, but became enmeshed in his hardline defense tactics. Boies later reduced his administrative duties at the firm, as part of a long-term leadership transition plan. Four firm lawyers moved in December into a new management committee, with Isaacson serving as vice chairman.